What made you want to start a blog? I started my blog about tea as a pleasant diversion from my incredibly painful and mind-numbingly boring MA studies when I found that I was basically living on chocolate and tea. Buckets and buckets of tea. Just. Trying. To. Get. Through. One. More. Boring. Article. What do you usually have for breakfast? If you don’t have breakfast, what do you wish you could have for breakfast? I always have the same thing. One Weetabix with milk. Green Tea tea or a Matcha latte? Straight green tea. I don’t really like milk in my tea. But I do like Matcha smoothies! If you could time travel into the past, what era would you go to? Why? Who would you like to meet during that era? My answer is more personal than historical. I would travel back to the (unknown) time when my ancestors left England and Scotland to come to Canada. I would want to meet them and find out why they left, and understand their lives and know what they were leaving behind, and what their future dreams were. It’s something that is lost to us, and I’ve always wondered. What would you cook or bake to impress someone? Hooooooooooooboy! I don’t think ANYTHING I cook or bake is going to impress ANYBODY! As noted above, I can live on tea and chocolate. Wouldn’t feed that to anyone! If I had to impress somebody, I’d call my chef friend, Lamir! What is a habit of yours that you wish to break? Eating “Lime and Black Pepper” potato chips. Do you brush your teeth before or after breakfast? After. Left-handed or right-handed or both? Right. Bungee jumping or sky diving? Neither. Not an action-fan. I’m more into quiet pursuits like art and reading. What is the most beautiful thing you’ve seen today? What is something you are interested in, but which most people think is ‘weird’? Other than blogging, how do you express your creativity? What did your mother ‘always tell you’ that turned out to be true? Or NOT? Planes, trains, or automobiles? Why? What music do you like, but are embarrassed to admit? Are aliens real? Ever seen any? OK, that’s it, people! I’m all blogged out. For those of you who choose to continue this thing… it has taken me about 2 hours… just so ya know. Thanks for the recognition, and thanks for reading! And hey! 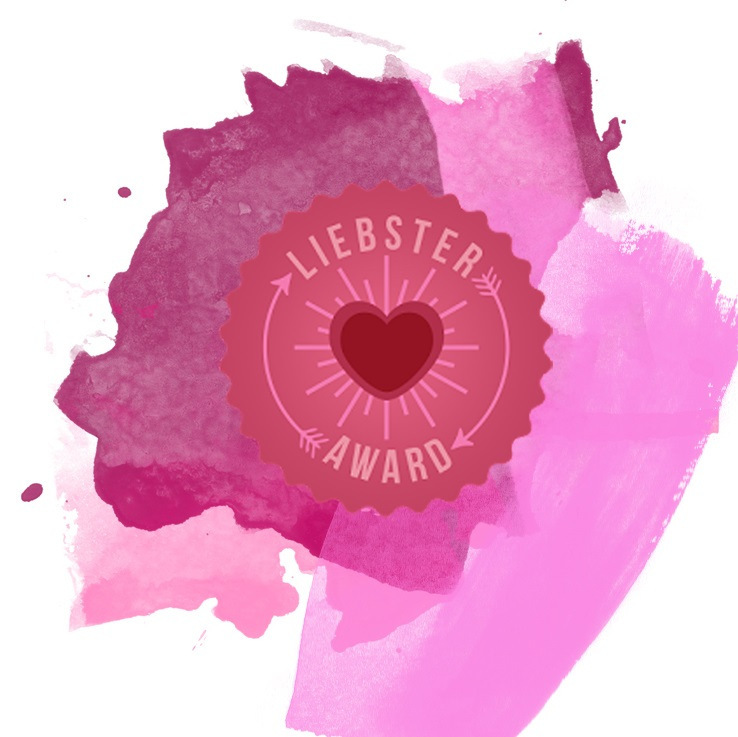 If you’ve never been nominated for a Liebster Award, but you want to answer the questions or take part anyway, then go right ahead and write a post and leave us a link in the comments! Why wait for a nomination?! As for your answers: I love your Dalai Lama quote in #4, and your answer to #6 is lovely. It’s fascinating to learn about your ancestors and why they made certain major choices in their lives… but it must be sad to know that knowledge is lost. Have you ever thought of joining Ancestry.com or a similar genealogy site to see if you can find the answers that way? Also, because of your answer to #11, what kinds of books do you enjoy reading? Take your time Sara. It’s fun to answer, but it does take a while to put it all together. Yeah, I’ve checked out Ancestry a little bit, but there just isn’t much to find. Just birthdates. It doesn’t really say anything about the people, and that’s what I’d want to know. As for reading… where do I start?! These days I’m reading more and more science and history books. Currently reading Richard Dawkins’ “The Blind Watchmaker”, and trying to finish Mann’s “1493” (not as good as “1491” IMHO. I used to read tons of fiction, fantasy, and sci-fi but I’m finding as I get older that I want more non-fiction. I don’t know why. I worked in a bookstore for 8 years, so loved being immersed in books all day, every day. Now reading is a luxury in between working hours. I do still read SOME fiction, but usually classics or literary fiction. Currently working on Joy Kogawa’s “Obasan”. Just finished Tsukiyama’s “The Samurai’s Garden” which was too fakey and unrealistic for me. Didn’t like it. Had to go back to non-fiction! I don’t know what’s happening to me! Are you on Goodreads? You can find my reading lists there under Rona McIntyre. Good luck with the Liebster! Gotcha. Too bad Ancestry wasn’t more helpful for you. Interesting. I don’t read a lot of nonfiction, but I finally made time for Susan Cain’s Quiet: The Power of Introverts… last year and absolutely floored. Not only could I relate to Susan and a number of the people she interviewed, but her points were passionately argued and well-supported by research. Have you read that one? Everyone’s reading tastes change over time. I’m still very much a fantasy buff (and I imagine I will be for life! ), but when I was a teenager I loved historical fiction, Nancy Drew mysteries, and the Baby-Sitter’s Club series. Very different from what I read now! Yes! I read “Quiet” about a year ago. It could be my autobiography!! Story of my life! hahaha!